I had a full day layover in Denver, Colorado. 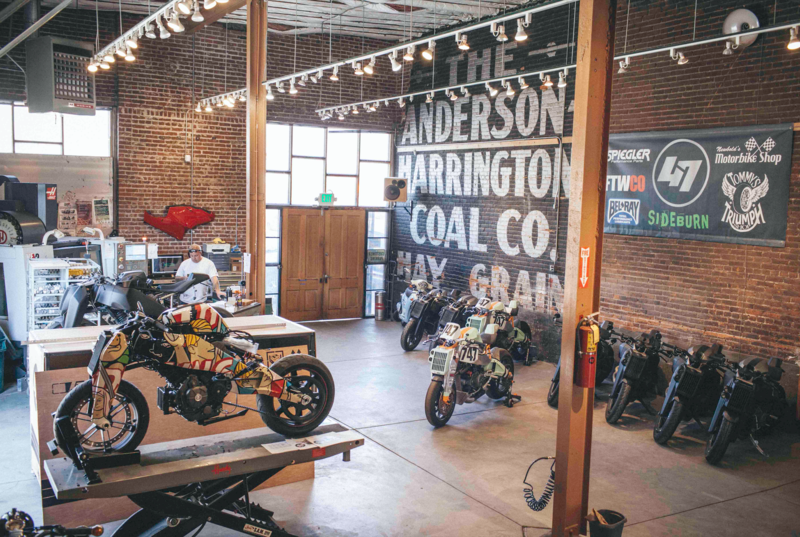 Fortunately, Denver happens to the the HQ of Ronin Motor Works, so I obviously jumped on the chance to check out the workshop. Marc Hanchak of Ronin was kind enough to greet and give me a private tour of the shop. 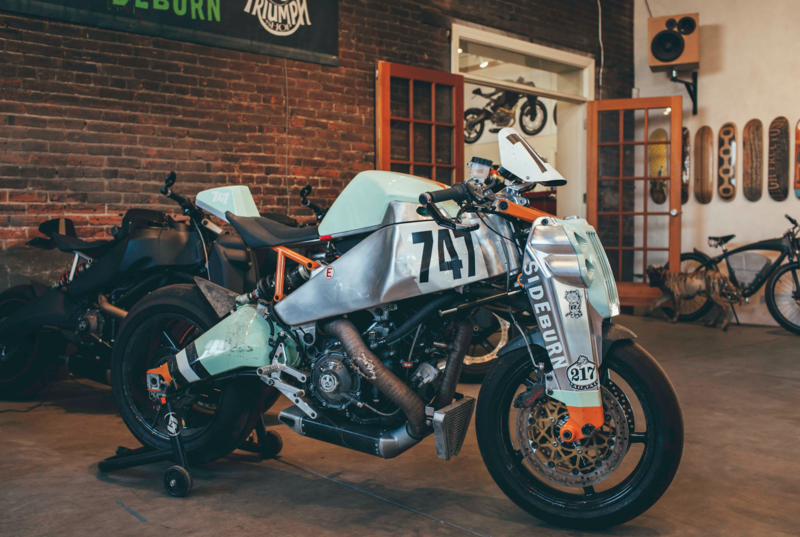 The founders of Ronin Motor Works have always respected the Buell® motorcycle philosophy–challenging the Status Quo (see the “Book of Buell”)–and with the release of the 1125 series with a liquid-cooled engine, it looked like the beginning of interesting times in the motorcycle world. In 2008, when the Buell® 1125 was first released, there were press shots of the bike showing the engine, frame and swing arm with all of the body panels removed and simplicity of the design was evident. 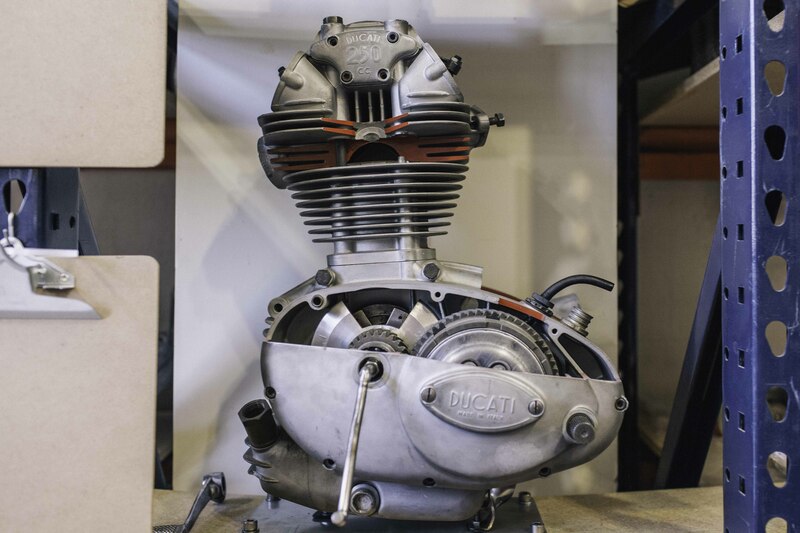 Unfortunately, the production 1125’s most interesting engineering aspects were hidden under plastic body panels that tried to make the bike look conventional, without succeeding very well. 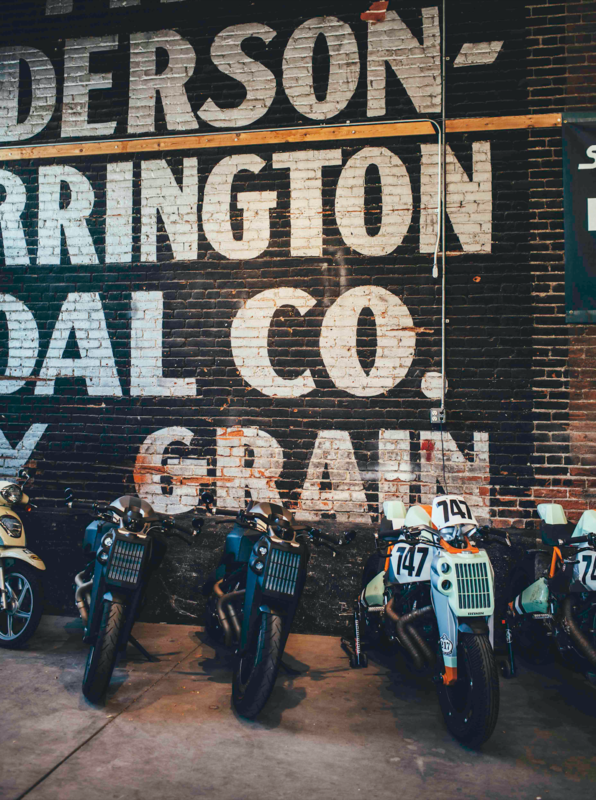 In 2009 Harley-Davidson® announced the elimination of the Buell® brand and with that, Harley-Davidson®dealerships started liquidating their Buell® assets. 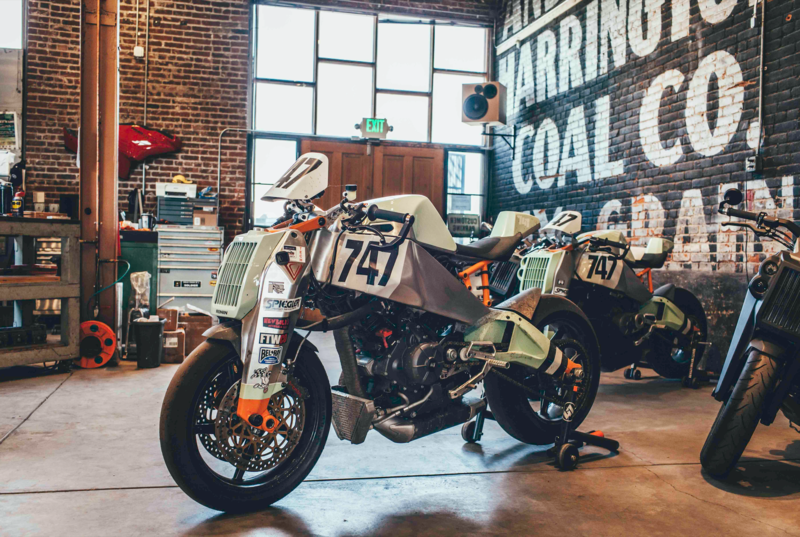 At that time Magpul Industries Corp. acquired two Buell®1125Rs to use in a design exercise to explore what sort of bike could be built around the revolutionary engine and frame. 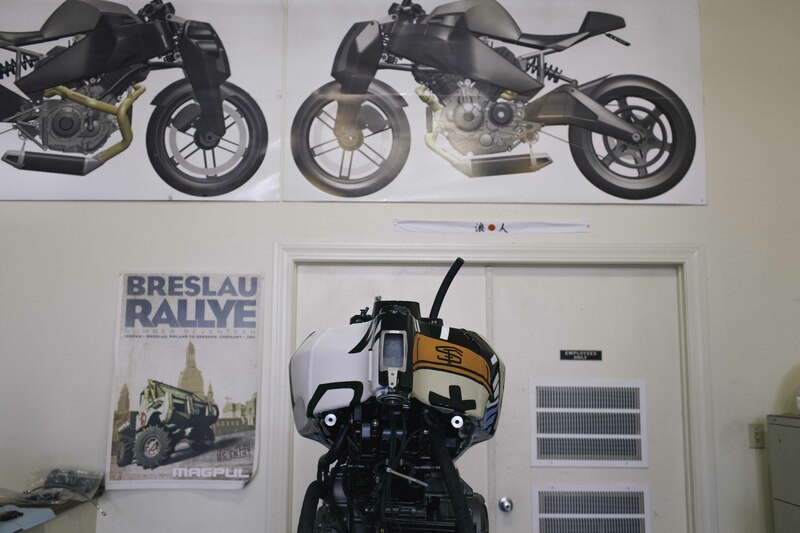 Eight months later, the resulting concept bike was revealed as the Magpul® Ronin at the 2010 SHOT show in Las Vegas. Taken from the Japanese word for a Samurai who lost his master, the name “Ronin” was chosen to signify Buell® motorcycles that will continue on after the demise of the company. 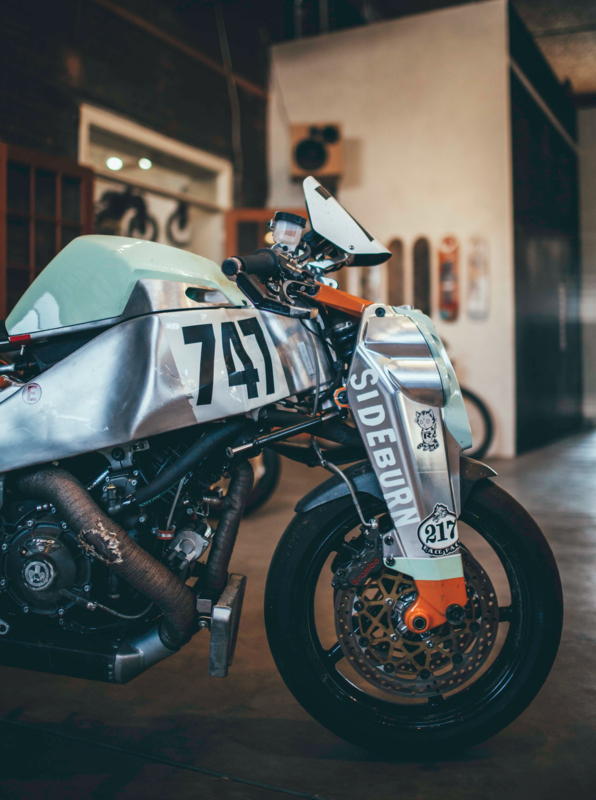 The Ronin concept featured a custom monoshock linkage suspension system, front-mounted radiator, unitized handlebar assembly, new ram air intake, cast aluminum tail section, and high-flow exhaust system. The features enhanced the bike’s ride while also decreasing the total weight by 54lbs from stock. Because the bike was designed as a concept it was not a conventional design in appearance or function. People either loved it or hated it, but enough interest was generated to investigate a limited production run of the Ronin design. 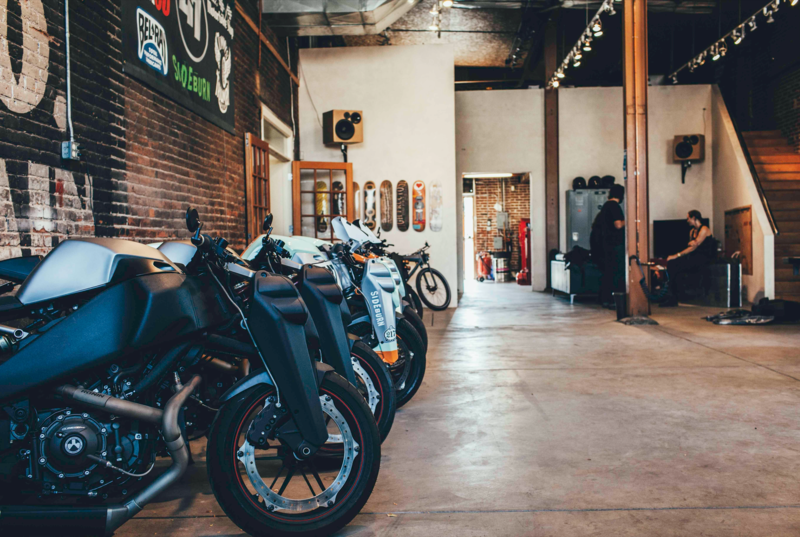 By this point Harley-Davidson® dealerships were liquidating Buell® motorcycles at an accelerated pace, giving the Ronin Motor Works founders only a limited amount of time to acquire 47 donor 1125 motorcycles that were needed for a production run. 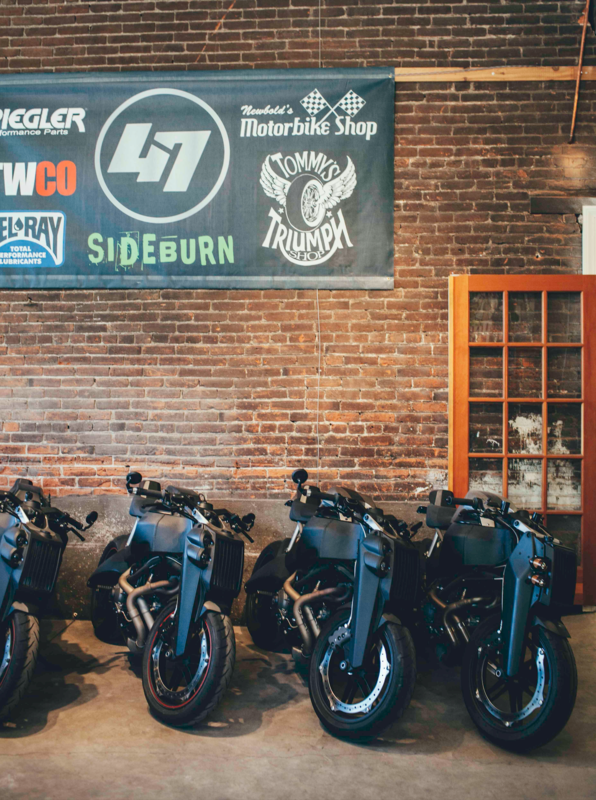 Two weeks later, after contacting Harley-Davidson® dealerships across the country, the needed 47 Buell®1125 bikes were acquired and placed into long-term storage. 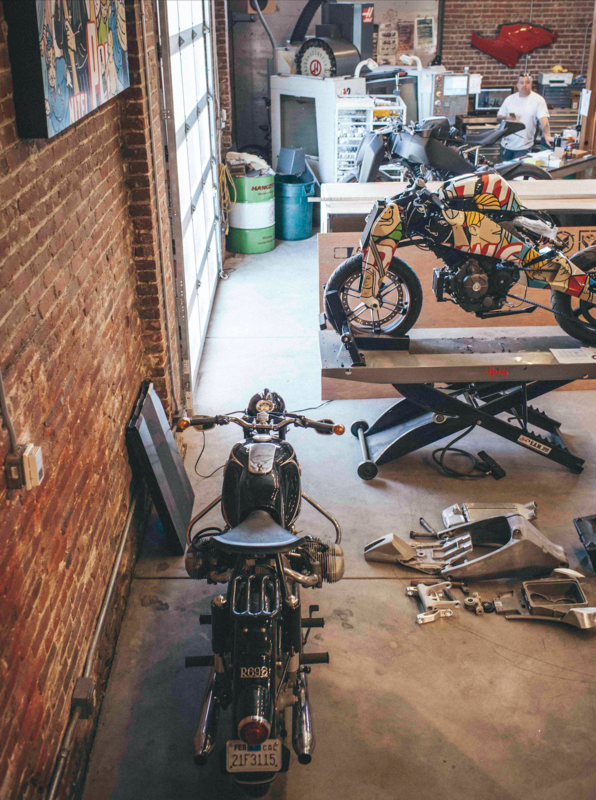 These motorcycles awaited their fate, and a plan to bring them to a new life was created. In 2012, Mike Mayberry (Ronin’s lead designer and Magpul’s VP of R&D), along with Richard Fitzpatrick (Magpul’s President and founder) came up with a plan to keep the project alive by individually funding a “pop up” manufacturing company dedicated to producing a production version of the Ronin concept. Mike and Richard formed Ronin Motor Works in order to create an entity solely focused on the Ronin project, since the demands and specifics were somewhat different from Magpul’s main focus on a rapidly growing presence in its primary product markets. 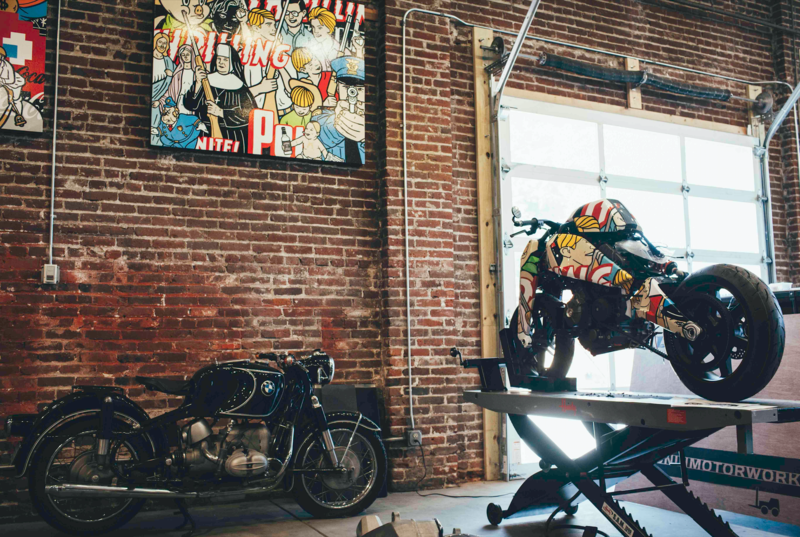 Ronin Motor Works secured a location in Denver and hired a small team of motorcycle design specialists. This team starting working on a 20 month long redesign of the Ronin, using the concept bike as a guide. Seldom does a production version of something as complex as a motorcycle match the rawness of the original concept, so great care was taken to keep the bike identifiable as a Ronin, while pushing the design forward at the same time. 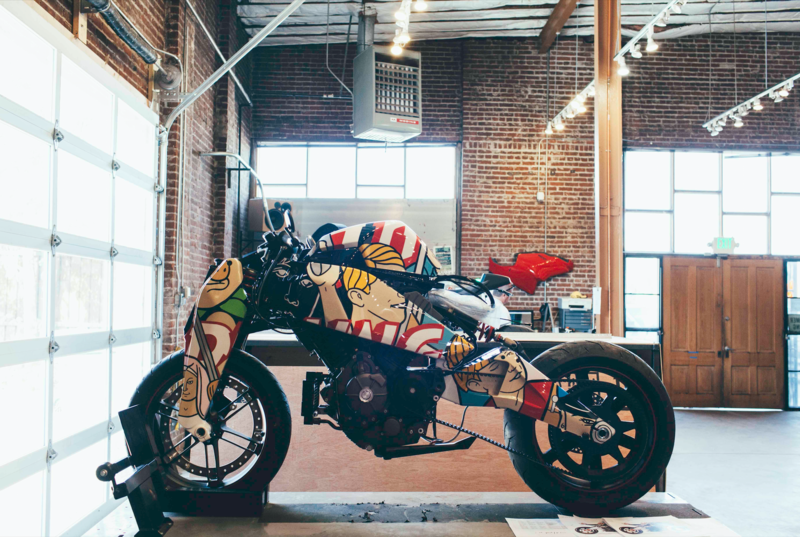 It was not easy, but the production Ronin motorcycle is both sharper and more distinct than the original concept. When parked next to each other, the hand built concept and production bike look very much alike, until the refined details start to emerge. 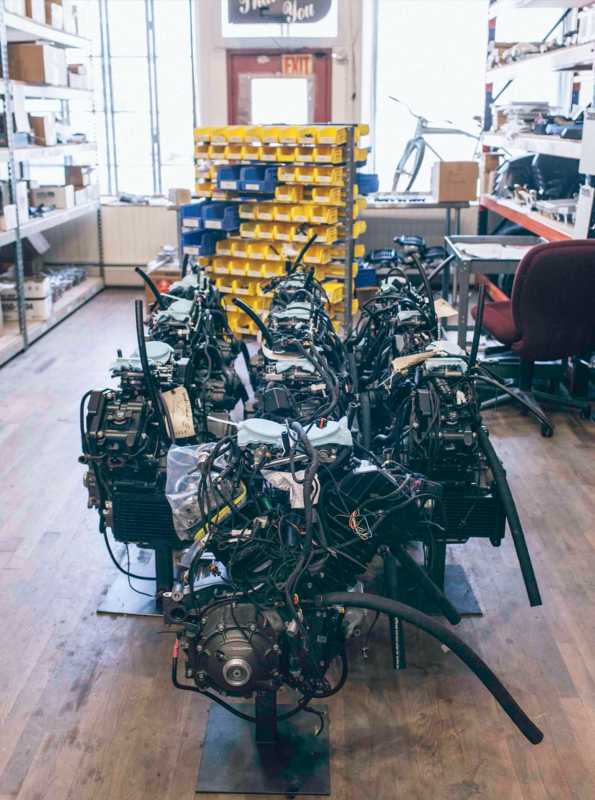 On the production bike, many of the items were unitized into a single part (ie battery box and foot pegs are integrated into a single cast unit along with lights being housed within the fork legs and led indicators are seamlessly built into the handlebar ends). Several injection molds were specially made to produce less than 100 front grill housings, airboxes, indicator lights and tail lights. Standard key ignition was eliminated in lieu of a hidden RFID chip along with custom gauge and ECU. 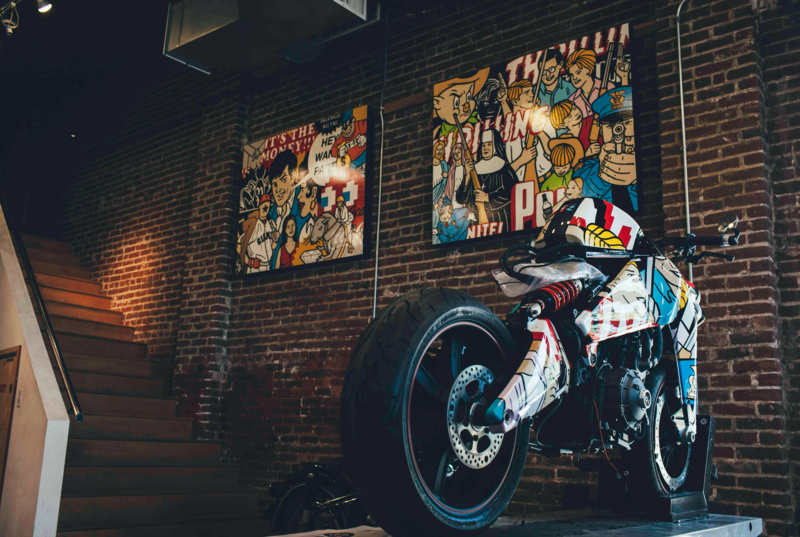 In 2013 the production design was finalized and Magpul authorized Ronin Motor Works to use the “Magpul”trademark and logo mark on the production bikes under the name “Magpul® Ronin Project.” In 2014 production began on the first group of Ronin motorcycles. These will be released in reverse serial number order (47 -1) in various, predetermined color schemes that will be more limited as each release is announced. The first 12 bikes released will be in the classic Black & Gray color of the original Ronin concept bike. Priced at $38,000 (USD) each, these bikes will be the most affordable of all Ronins released (and priced below the cost to produce them). The initial release of 12 will be followed by 10 all black versions at an increased price. After that, there will be a release of 8, then 6, then 4, and then 2 (all will have different color schemes and features). 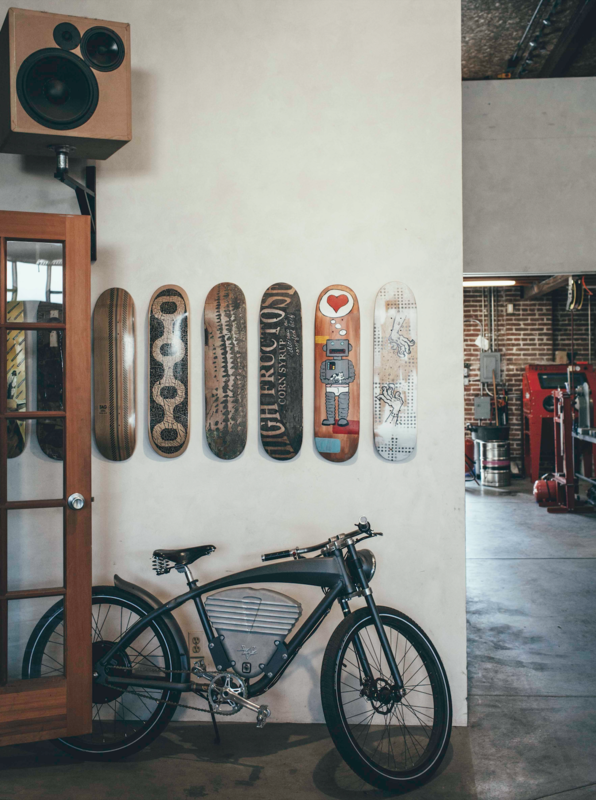 The remaining 5 bikes will be one-off designs from the factory and each will be unique. 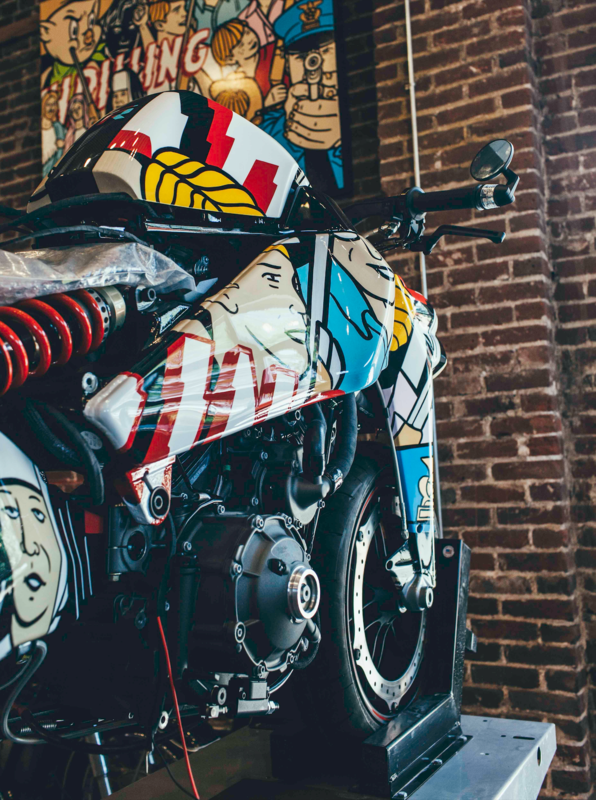 Each bike is named after one of the 47 Ronin warriors from Japanese legend. The name is engraved on the bike and on the bamboo toolbox that comes with every bike. Great article. Thank you for sharing. I greatly admire the work, ingenuity, and purpose of the Ronin 47 project. This is something I would love to work on. Thank you. Yes it’s an amazing bike. That much better in person as well.